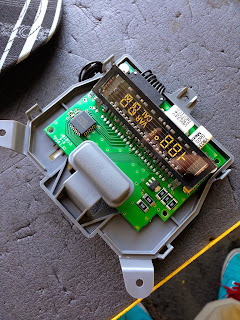 If you have a Toyota Tacoma with an overhead compass and temperature display that is not working, it is most likely do to a bad soldering joint on one, or possibly both of the 510 resistors on the main circuit board. It is a relatively easy fix if you are comfortable with a soldering iron and have about 10-20 minutes. This is what the compass and temperature gauge should look like when fixed. To remove the overhead panel, drop the sunglass holder and remove the screw on the top of the panel. The front should only be held up by clips. 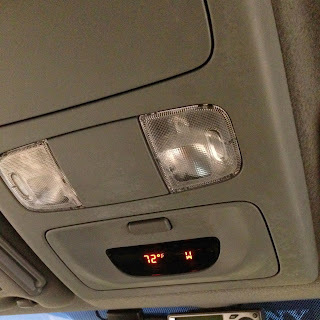 Once the overhead panel has been removed and disconnected, remove the three screws holding the display on to the overhead panel. The tinted black cover can then be removed by releasing the clips holding it into place. 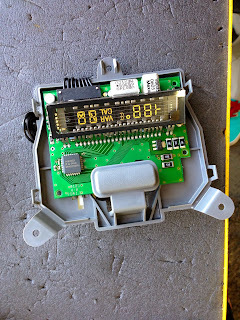 You should then see the main circuit board. If you look closely you should be able to see the two 510 resistors. 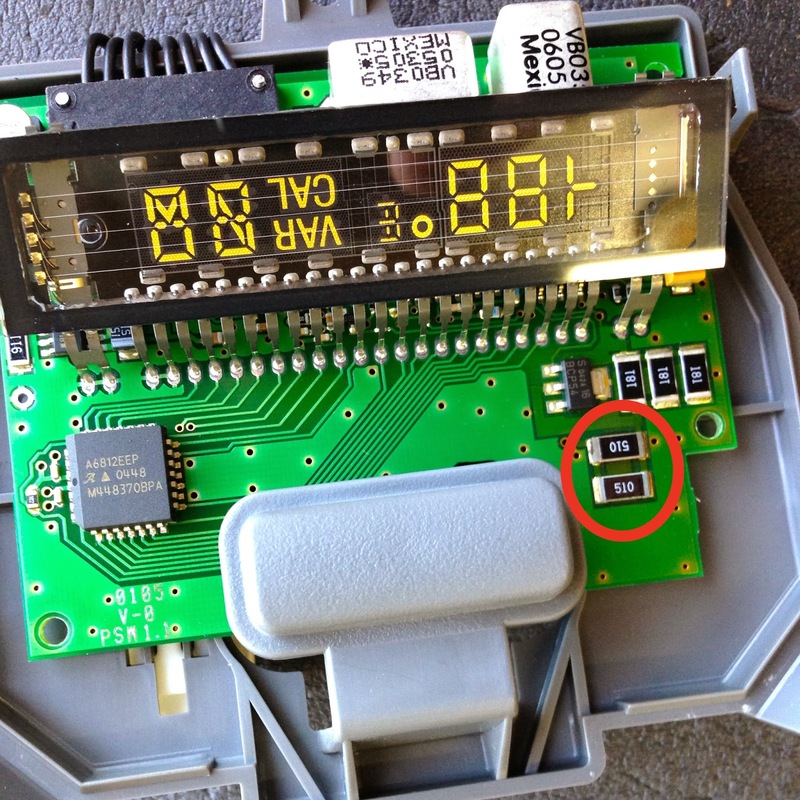 If you take a very small pic tool or needle, and apply a little pressure to the edges of the resistors you should notice they will start to lift off the circuit board. So what you want to do is re-solder these contact points. You will need to use a very small soldering tip and be careful not to use an excessive amount of solder. I've found that silver bearing "lead free" solder is a bit trickier to work with, so if you have any lead based solder laying around you may want to use it for this repair. If you have no way of getting your hands on a soldering iron and solder, you could try using a circuit writer pen.